Home › Products › DIC Systems › Vic-Snap Remote › Setup. Control. Acquire. the way you set up your image correlation tests. 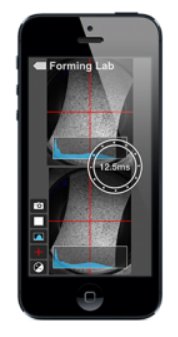 Conveniently view live images on your mobile device or tablet while setting up the cameras. Zoom in with a pinch to adjust your focus. The crosshairs help align the cameras just perfectly. Control exposure to get your images well lit (the histogram helps, too). 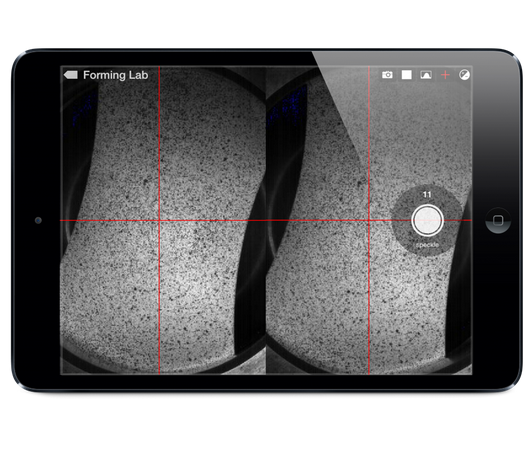 Acquire calibration images with a tap. Compatible with most iOS and Android devices. Now available on the App Store and the Google Play Store.